Real estate agents are in a constant battle with time. They must show homes, meet clients, prepare documents, and host open houses. Many also serve as webmasters for their IDX sites, bloggers, and social media marketers. Any strategy that can save a few hours (or even a few minutes) during a real estate agent’s week is valuable. In this article, we’ll provide 15 tips to blog faster. 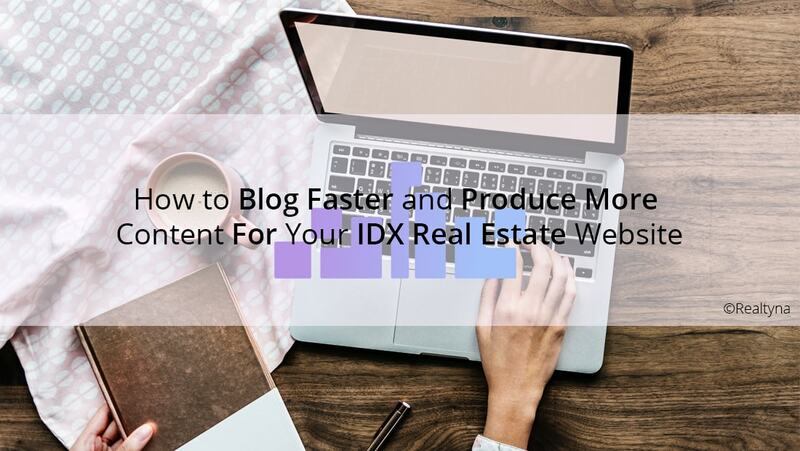 This will allow you to produce more content for your IDX real estate site and generate more leads. Or you can use the timesaving to focus on the leads you currently have. Ideally, a real estate agent should blog everyday. But blogging should not dominate the day. You should keep an ideas list. Add to it whenever a new idea comes to mind. Inspiration can strike at anytime, so it’s a good idea to keep this list on your phone. An ideas list will save you time by allowing you to start writing immediately when it is time to blog. You are a professional. You earn a living because you have specialized in selling homes. This means there is a lot you know that other people don’t. When you are looking for ideas, simply choose from what you know. You will be able to write about it faster because it is second nature to you. And it is guaranteed to help somebody. Blogging offers a lot of benefits for real estate agents. But it can be a bit of a black hole. To prevent your blog from sucking up all your time, you should set a time limit for blogging each day. A time limit will serve as motivation. And it will prevent you from spending too much time on something unproductive. You should compartmentalize your research and writing. Do one completely before turning to the other. If you are starting on a new blog post, research it first. Find everything you need to include in the blog before you start writing it. Then, write it completely. Do not turn back to research until you’ve finished writing completely. After all your research, you should have a general idea of how you want your blog post to flow. Write this down—even if it is just one or two keywords per paragraph. When you finish writing one section, an outline will remind you what to write about next. This will keep your words flowing to the page and give a sense of order to your post. If you look for photos of bloggers, you will find a lot people using laptops in coffee shops, on couches, by the pool, etc. They make for nice images, but in practice these are terrible productive environments. Instead, you should work at a desk in a quiet space with few distractions. Blog writing should be fairly formulaic since there are only a few good ways to present information. Some popular blogging formats are question and answer, inverted pyramid, featured snippet, how to steps, and list. There’s no need to invent the wheel, so when you are ready to write, simply choose an established format and follow it. You don’t need to adopt overly formal language or incorporate a broad vocabulary. Write as if you are explaining a topic to someone else in the room. Writing comes more freely and quickly when you adopt your own voice. If at any point in your blog post you don’t know what to write next, move on. By writing the next paragraph or section you may find the sentence you were looking for was not actually necessary. It’s tempting to re-read our blog post after each new section we write. This, actually, is unproductive. It slows us down and it can devolve into nitpicking every sentence. Instead, try to write everything you think you need to write. Then, edit it all at once at the end. It can be hard to know when to end a blog or how to conclude it. Don’t worry about this. Simply write your blog post. When you’ve said everything you want to say, stop writing. We’ve written a lot about writing here. But writing is not the only blog content you can produce. If find that writing is simply taking too much time, consider changing your content type. Graphs, videos, and photos make wonderful blog posts too. Many new bloggers want each of their blog posts to be a shining gold nugget of perfection. But in reality, no one post defines your blog. Instead, it is defined by the body of your work. So instead of perfecting your blogs, you should focus on writing new ones. It is fairly well cited that it takes 10,000 hours to become an expert at something. So keep blogging. 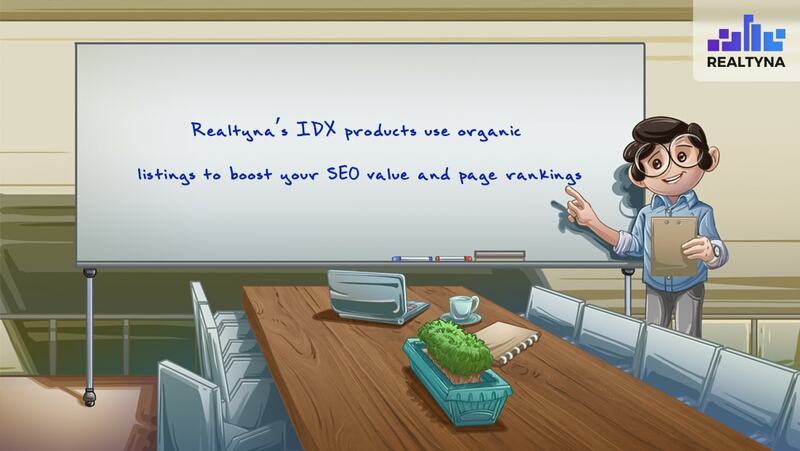 As you do, you will find you are writing faster and producing more content for your IDX real estate website. These 15 tips will help you improve your blog and optimize your lead generation. For more blogging tips, check out 13 Tips for Starting a Real Estate Blog and 10 Sources of Royalty Free Images For Your Real Estate Website.